Toyota's race to lose? But a hungry pack behind! It’s been quite a year since the 20-17 Le Mans 24 Hours. Porsche are gone from the FIA WEC and now chasing global headlines with an unrestricted (and un-racable) version of their all-conquering 919. The FIA and ACO meanwhile, moved fast to develop a way back into the top class for a new breed of non-hybrid privateers and, it should be said, were surprised by the response! The 2018 grid here brings no fewer than eight privateer entries from five different teams, better still none of them have chosen the same combination of chassis and engine. Toyota meanwhile return with an all but unchanged effort, with one very visible exception! For what was an emergency fix the grid is mighty impressive, but not without controversy, amongst the fans at least, for the somewhat conservative manner in which the Equivalence of Technology (EoT) measures have been deployed to ensure that Toyota are equipped to display the undoubted efficiency advantage of their hugely impressive hybrid package. A near faultless run from both brand new Gibson engined Rebellion R13s at Spa was somewhat ruined by the news that the initial podium finishing car had been excluded post-race after the ride height plank was found to be excessively worn. 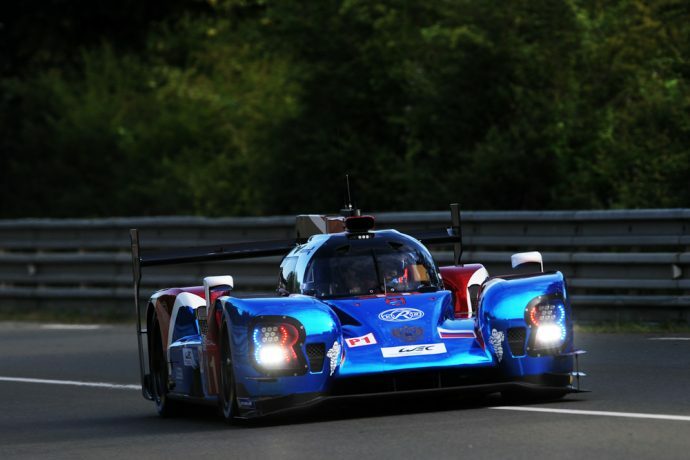 That shouldn’t take away from the fact that the combination of well-proven Oreca chassis with extensive LMP1 upgrades, well proven Gibson engine with extensive LMP1 upgrades and a pair of well-proven driver crews were very much the best of the non-hybrid rest at the first time of asking. 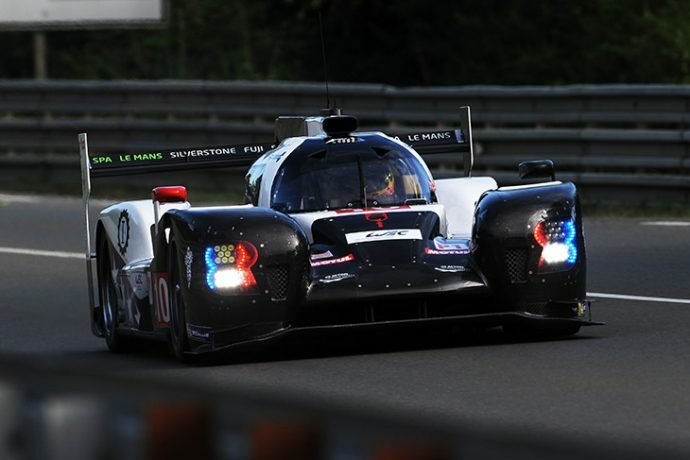 The #1 car features a simply stellar crew: multiple Le Mans winner and ex-FIA WEC World Champion Andre Lotterer, Le Mans winner and ex-FIA World Champion Neel Jani and reigning FIA WEC LMP2 Drivers Champ Bruno Senna. If the pace is in this car then this trio will find it, and all three know how best to drive for a finish too, this trio quite possibly have a call on the best ever trio assembled in a non-factory LMP1. The sister #3 car has the ‘youngsters’ aboard: Gustavo Menezes already has an FIA WEC LMP2 drivers title to his name, Mathias Beche has LMP1 and LMP2 experience aplenty on his CV and Thomas Laurent has packed enough LMP3 and LMP2 experience in to a very short career to make even this early call-up for an LMP1 drive far from a surprise. All three have pace and the team, under Bart Hayden’s management and with full factory ORECA engineering support have the experience needed to guide hem through the challenges ahead. The cars ran in high downforce configuration at Spa so the Test Day was the first opportunity to see their low drag pace. It’s fair to say that they impressed at their first attempt, the #3 car splitting the Toyotas in both sessions, and the #1 in close company with the hybrids too. The artificially restricted stint lengths and pit stop times mean that the Rebellions – and the other non-hybrids – are carrying a regulatory boat anchor over the full race length. But, the R13s look to have potential to be close enough to take full advantage if the Toyotas hit trouble. 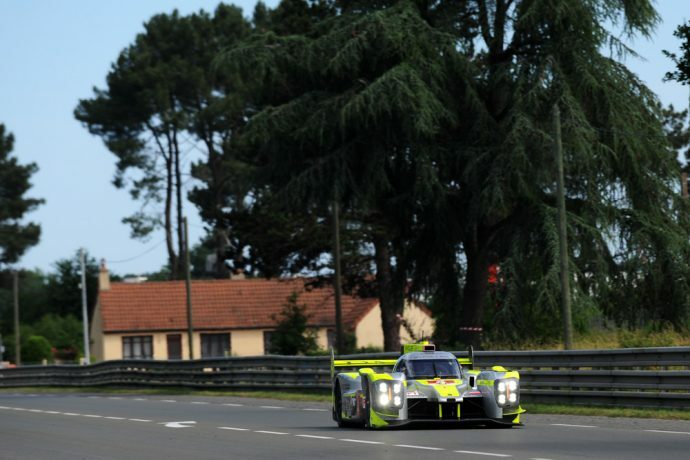 ByKolles have been the team to ignore in LMP1 in the recent past, despite being the sole privateer entry at Le Mans last season. That’s been as a result of a chronic paucity of reliability at times, and, it should be said, a tendency to self-combustion! That though should be history because after ducking out mid-season last year the team regrouped and have returned with a package that, whilst not ground-breaking – has addressed many of the major shortcomings of the previous efforts. A much more efficient aero package is certainly a major plus but the biggest positive is a substantial reworking of the NISMO/Cosworth Turbo V6. The engine is now good for c.700 bhp and with a top to bottom re-engineering to address reliability issues and architecture changes removing compromises engineered in for its intended front mounted nature in the 2015 GTR-LM. The driver trio all know the car, and the task, well. Oliver Webb is a firm part of the team, Dom Kraihamer has more LMP1 experience than most in the field and Tom Dillmann has real pace on tap. 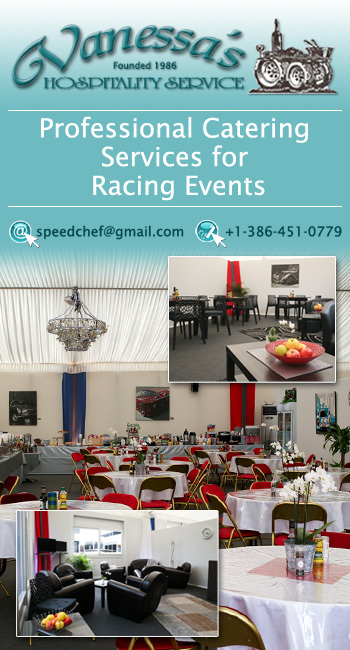 The game here though will be reliability – speed matters less, just so long as the LMP2s can be kept behind! That said the team’s pace at the Test Day was encouraging, beating last year’s qualifying time in early running with more to come. If ever there was a package under the headline ‘unknown quantity’ then this is it! Ginetta were the very first to step up to the mark and respond to the opportunity to bolster the privateer non-hybrid LMP1 market and pulled together a world class set of designers, consultants and suppliers to bring the new G60-LT-P1 to the party. Manor emerged as the first credible buyers for the new car with their Chinese partners TRSM but, as emerged during the Spa WEC weekend, the principal sponsor brought to the effort, CEFC, brought with them a world of trouble that stalled all monies from China. 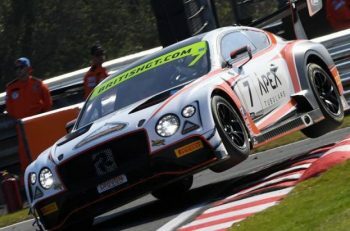 Ginetta’s Chairman Lawrence Tomlinson underwrote the bare minimum appearance at Spa and also led the rescue effort both in the meeting rooms and in the commercial arena. He, and Ginetta deserve much credit for that. With that behind them, focus shifts to Le Mans. Both cars have tested since Spa, useful track time has been at a premium and the essential running for the purpose of providing EoT data for the ACO will also have helped the team to iron out the inevitable new car wrinkles. The reality is though that few outside the core of the team know what to expect in terms of performance at Le Mans and the realistic aim here is to run for reliability and a finish. That said the chassis looks good, the Mecachrome turbo 6 should be very much up to the job and the Manor crew, still very much involved are certainly motivated. On the driving front the #6 crew has plenty of proven experience and pace, Oliver Turvey and Alex Brundle have sportscar racing success already on their CVs with Oliver Rowland looking for an endurance racing stage for his obvious talents. The #5 car meanwhile matches 2017 ELMS Drivers Champion Leo Roussel with Ginetta’s 2015 ELMS LMP3 Champion Charlie Robertson and the late exchange of Ginetta commercial manager and factory driver Mike Simpson for Dean Stoneman, Simpson in courtesy of his long history of Ginetta prototype testing, development and racing – and race-winning pace! The cars both ran well at the Test Day, though still with their high downforce package (there is set to be a low downforce kit for race week) but will they be permitted to use it? There will be plenty cheering for this effort – and any success will be very popular – but there is a long way to go before we get that far! There are two themes, and only two, that sum up the expectations over this effort with a near identical TS050 to last year’s car. 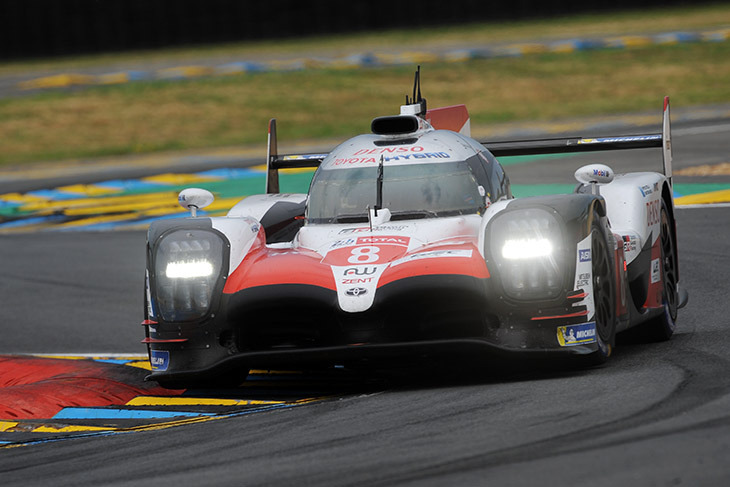 1 – Toyota will run away with the race with a much superior car, assisted by regulation to enhance the efficiency advantage that they already hold. 2 – Toyota will find another bizarre way to lose this race! Beyond the first point there is the additional cynicism in the air about the almost inevitable team orders that will apply if both TS050s are running untroubled. That relates to the one new major component for the effort in 2018, the addition of Fernando Alonso to the driver squad. 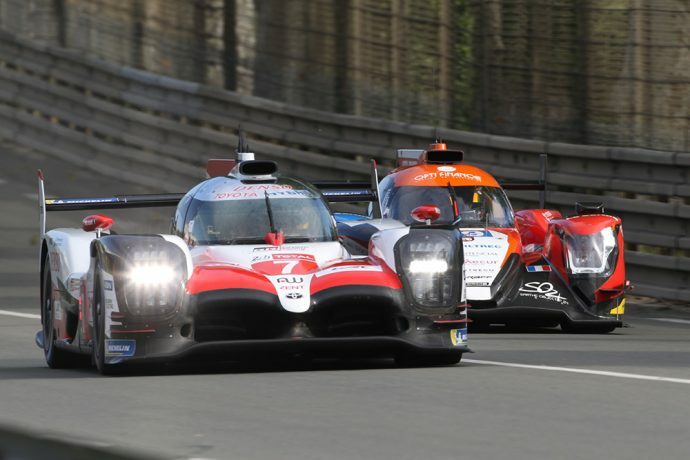 The draw of those potential headlines (Double F1 World Champion wins at Le Mans for Toyota) has potentially put pressure on in several areas not to gift the win; this is Le Mans that is simply impossible, but to perhaps remove some potential for doubt if things run to plan! It’s at this point though that the second point comes into play, because to put it simply this may be the unluckiest racing team on the planet! The TS050 is, at present, the most highly developed, technically advance and pure stone-cold fast sports racing prototype on the planet. On the upside Toyota have two of them, and a stellar driver line-up. On the downside they ONLY have two of them and the team’s record in the hybrid-era makes for worrying reading. 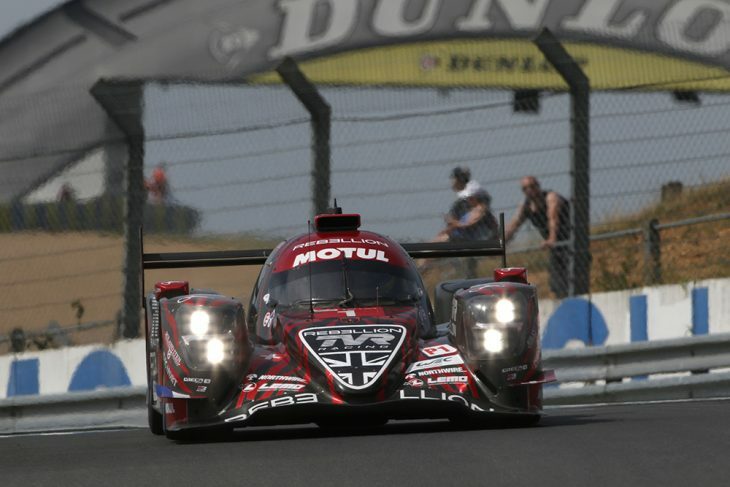 There’s been 13 Le Mans starts for Toyota LMP1 Hybrids since 2012 and only two have run without major issues! 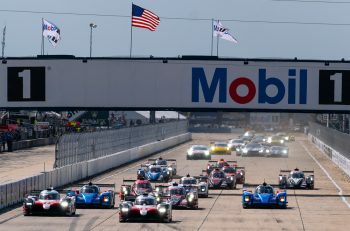 A mammoth effort has been undertaken in the off season to prep the team for problem solving, and with good reason, the nearest competition is no longer another factory hybrid effort – but the odds are that the fastest non-hybrid LMP1s will lose less in terms of time than the LMP2s did last year when the Hybrids faltered and an LMP2 nearly won! That said the cars, if they are reliable, will run away, not necessarily on outright speed, but on their ability to run a lap longer than the privateer cars and to spend c.5 seconds less per full fuel fill pit-stop. Averaged out over a full green flag race distance that could see the Toyotas a full two laps to the good by 4pm on Sunday. Aren’t theories fantastic things though! Working super hard to ensure that the form book is correct are a pair of world class crews with, on form, little to choose between them. Car #7 has ex-WTCC World Touring Car Champ ‘Pechito’ Lopez, joined by record breaking Le Mans pole-sitter Kamui Kobayashi and the ultra quick Mike Conway. There is though little doubt that most interest is focused on the sister #8 car with regulars Seb Buemi and Kaz Nakajima joined by Fernando Alonso. This is an effort destined to be remembered – whether for the right or the wrong reasons we’ll know soon enough. This is Toyota Gazoo Racing’s race to lose! 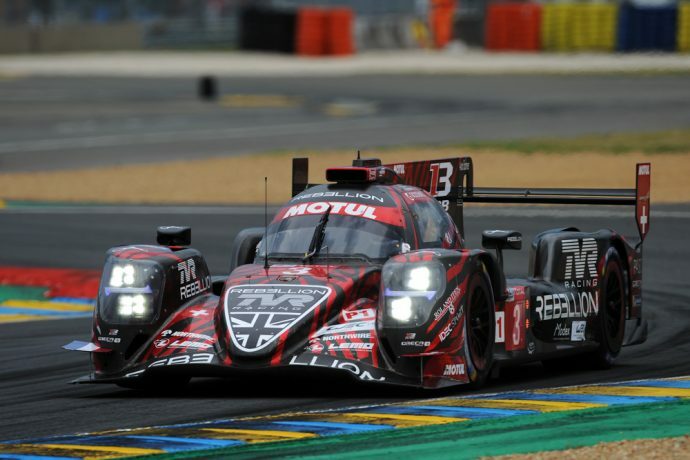 A solo car effort, and a late confirmation that the US-flagged but French-based team will return to LMP1 after a disaster at Spa where a systems failure pitched Pietro Fittipaldi into an accident that left him with fractured legs and the team with a destroyed BR1 LMP1 car. Confirmation has though come that the team obtained a replacement chassis after the original chassis, which is uniquely built for the Gibson engine, was destroyed. Fittipaldi’s recovery continues but the young Brazilian ace was never slated to race at Le Mans, instead rapid Dutchman Renger van der Zande steps in. He tested the car at Paul Ricard’s WEC prologue so is familiar with the package. 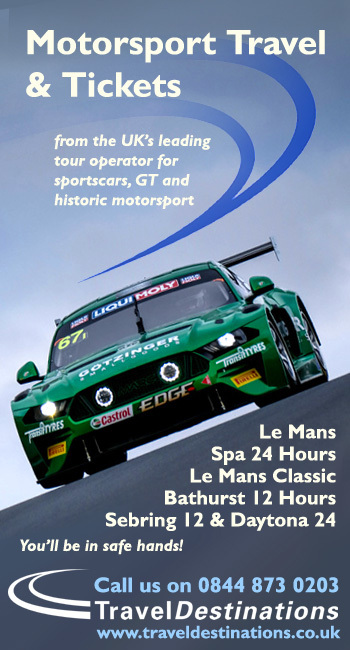 Ben Hanley will be pacey too but there’s little doubt that this is built around Gentleman Driver Henrik Hedman, without whom the effort simply would not exist. 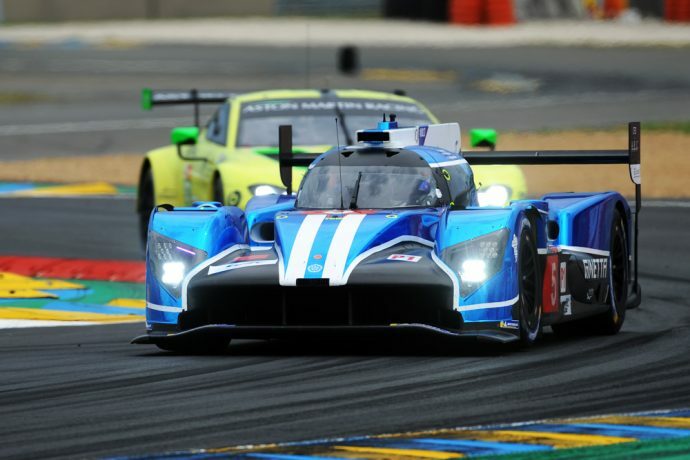 Hedman was given approval to race in LMP1 as a Bronze-ranked driver, based on his LMP2 experience, however quick the 600 bhp Gibson-powered LMP2s are though the lighter, more powerful and more aerodynamic non-hybrid LMP1s are certainly a step up. A conservative approach from the #10 effort is likely though, but if pace is required both Pros are easily on a par with their peers in this company. The team will be equipped with the updated (post Spa!) low downforce BR1 aero package (see below) allied to the highly effective Gibson GL 458 power-plant. Team principal Elton Julian says they aren’t chasing anything other than a finish, that though could be exactly what is required in this most unusual of years! 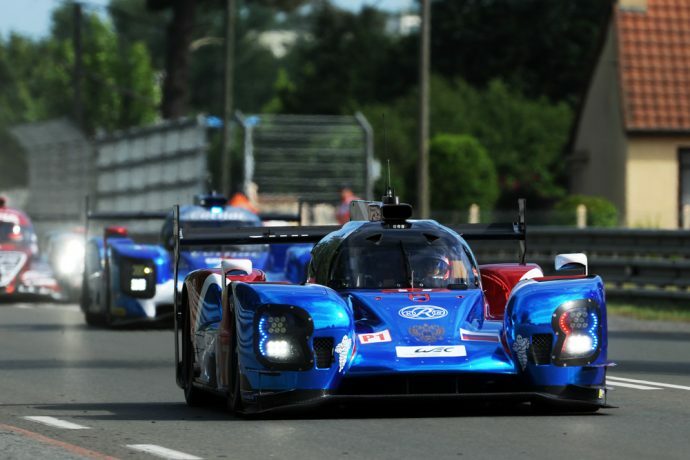 After the traumas of Spa, where the #17 SMP Racing BR1 AER suffered a high speed ‘blow-over’ at Raidillon the team has regrouped and has effected an aerodynamic change before Le Mans to reduce the chances of a similar issue. 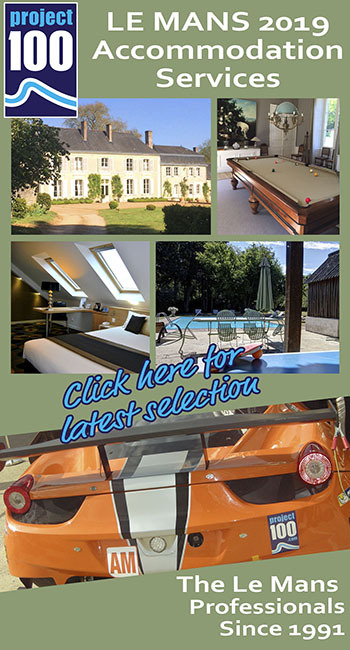 The openings over the front wheels have been enlarged and the cars have adopted more conservative trim levels for the flat-out high-speed one-off that is the Circuit de la Sarthe. The team was the first of the ‘new’ non-hybrid outfits to hit the track, their first car testing by the early autumn. Whilst the team racked up miles they were not trouble-free, the first car suffering a shunt in early testing that saw Mikhail Aleshin suffer an injured arm. The revised AER P60 turbo 6 power-plant though has thus far, been solidly reliable and powerful. On the driving front there’s little doubt who the main attraction is here, 2009 Formula One World Champion, and, by the by, current Super GT Championship leader, Jenson Button, who was a late addition to the squad. Button has got a bit of experience in the car though, testing for the first time post Spa and pronouncing himself pleased with the package. He shares the #11 car with Russian pair Vitaly Petrov, another man with, albeit less impressive, F1 experience, and ex-IndyCar man Mikhail Aleshin. The sister #17 BR1 sees another Russian pair, youngsters Matevos Isaakyan and his ex-World Series teammate and ELMS winning co-driver Egor Orudzhev, both men quick, Isaakyan will have learned a lesson at Spa about self-control! Completing the line-up in #17 is Stephane Sarrazin, the ex-Peugeot, Aston Martin and Toyota factory driver has fantastic endurance racing heritage and is just lacking the overall Le Mans winning cherry on his CV cake! The odds are against that changing this year but, as DSC readers know all too well. Never say never in this part of the sport!